Friday night brought the drama, and it also brought the pitching. I complained yesterday about the lack of dominance by pitchers in the post-season in what was supposed to have been the year of the pitcher. (Side note: someone is probably going to write an idiotic article about how Roy Halladay is great, but not super great, because he can’t win in the post-season…it will be ludicrous but it’s going to happen). Last night however provided everything we love about baseball: suspense, great pitching, unlikely heroes, and surprising results. Great job Cardinals. You continue to mess with my pitching model of success (although they really turned it on in the 2nd half…their season stats are not super impressive, but their second half stats are Giant-esque: 7.8 k/9, sub 3.30 ERA. Should have paid more attention to that), and you constantly annoy me with the terrible way you build your team, and yet you just keep on winning. I don’t get it and it frustrates me, but credit where credit is due. 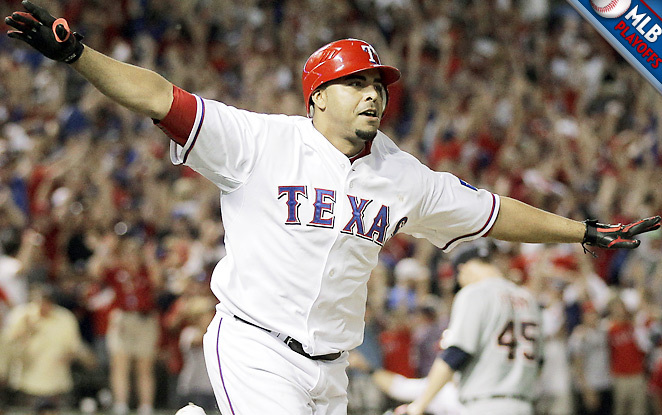 You just pulled off one of the greatest upsets in MLB history. Well done! I’m all in with the Brewers now. Might even go buy a hat. Probably not, but if 2011 turns out to be a repeat of 2006, I’ll be upset. Just saying. 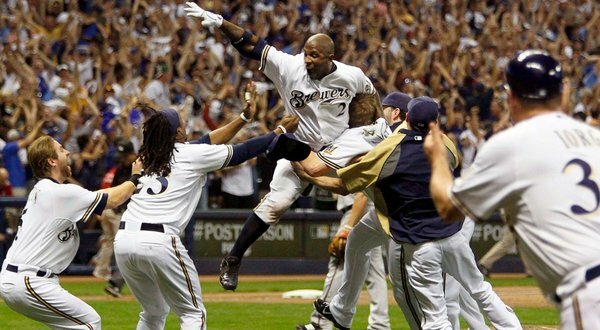 Sticking with the Rangers in the AL and I’m going to say Brewers in 7 in the NLCS. The monks offer our very early, very unofficial first shot at predicting the 2011 season. Enjoy and comment away! 1) Why will the Giants’ Repeat? Jon: Because they are awesome. After not winning the WS for 56 years, they are due to win at least 4 times in a row! Don’t argue…it’s a game of statistics and this stat only makes sense. Tim: Giants repeat because: Our pitching staff is strong as ever, and we are getting all the big guns back. It was just announced today that Cody Ross is pulling on the orange for another year, and with him and Huff swingin’ the lumber, and Panda already 15 pounds lighter, we’ll finally have some consistent run support for our amazing pitching staff. Josh: The Giants will defeat the New York Yankees in the World Series. I think it would be really cool to knock off the team I hate more than any other… besides the Dodgers. Steve: They win again because the youth of the staff means the pitching holds up for another deep run, plus the offense is improved with pablo bouncing back, full seasons of posey/burrell/ross, the emergence of belt, and more goodness from huff/torres/sanchez. Jon: Phillies…it feels strange picking a team the Giants’ made to look like weepy little school boys in the NLCS, but their pitching and above average hitting will be tough. Despite their solid lineup they didn’t perform to potential last year. If their pitching stays healthy and their hitting meets potential, they can take it in 2011. Tim: Twins…I was initially leaning towards the Phillies, but I’ve decided on this was too rational. Minnesota Twins. Doesn’t sound rational? With Justin Morneau looking to be healthy at the start of the season, and Joe Mauer locked up for all eternity, all these small town boys need to do is finally get by the Yankees in October. Josh: New York Yankees vs. Phillies. How can you not pick these two teams at this point in the year? Injuries can change everything but the sound mind says these two teams will meet. Oh and Vegas thinks so too! Steve: Red Sox…I actually think it will be the Phillies, but they’re covered, so I’ll go with the semi-homer pick. I do have legitimate concerns about the pitching, but if the rotation is healthy they have PLENTY of offense to get them to the post-season where Lester and an improved bullpen will carry them through. Jon: Brewers in the NL…I just have a feeling. Grienke, Gallardo, Braun, Fielder, and NOT Hoffman. A’s in the AL…no, this is not because I’m from the Bay Area. This team competes every year with guys I’ve never heard of (Mike Sweeney anyone?). This year they not only have a credible line up with DeJesus and Matsui and Willingham, but their rotation is top 3 in the league. Tim: Although my Twins Prophecy sounds like a sleeper, the real sleeper here is the Rockies. They have so much young talent, and the rest of the league is finally taking notice. We were lucky to slip by them in our division last year, but Ubaldo Jimenez is throwing the heat, and he and his teammates will ride the flowing mullet of Troy Tulowitzki all the way to a ring. In the AL, this is the year of the year of the A’s. I am mostly basing this pick on the fact that their cross town rivals took home the glory in 2010, and it’s lit a fire under their butts. They signed Grant Balfour today, and he had a great year with Tampa Bay last year, which should help their struggling bullpen. Adding Hideki Matsui at DH was a smooth off-season pickup. I would love nothing more than a Battle of the Bay Vol. 2. Hopefully the A’s can step it up. Josh: AL pick is the Twins. I guess this isn’t much of a sleeper since they went to the playoffs last year, but they always build their team well. Bill Smith (GM) is a smart cookie and he builds a great squad with a decent payroll of just under $100 million and Ron Gardenhire can get the most out of his rotation and lineup. In some ways, I see a lot of similarities to the Giants. NL…I think the Braves could creep up on some people. The first year without the legend of Bobby Cox should be intriguing and they could be a great story or this could be the dumbest pick ever. Their rotation could use some help in the back-end but the addition of Dan Uggla could be huge for them and Jason Heyward should only be getting better (scary). By the way, I hope this pick fails. I hate the stupid Braves. Steve: I too like the Brewers…a lot, but I’m going to go with the Marlins as a true sleeper. If Vasquez pitches like he did in ’09 and the rest of the rotations stays healthy, they have as good a 1-5 as anyone in MLB. Plus they have a stable of young, athletic hitters who could come together around Hanley. I might be a year early on them, but watch out for FL. In the AL, I love the A’s, but again that’s been covered, so I’m touting the White Sox. Good pitching, power, defense, a crazy manager…they play in a winnable division and have the pitching depth to make a serious run if they get in. There you go…second guess away! All the monks are hard at work on a post for sometime in the middle of this week when we unveil our first (but not last) predictions for the 2011 season. 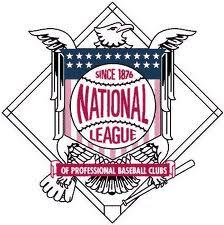 My initial thought as I pondered my some early picks: OMG the National League is wicked loaded! Not too long ago I posted about the centrality of pitching to post-season success and how the Champions of the last decade (almost to a team) made significant additions to their staffs that led to glory. Yesterday, ROTO Authority offered a list of some of the key pitchers who have gone from the AL to the NL this offseason. There are a few good ones on there, adding to a league that already has a full slate of dominant arms. that doesn’t include: vazquez, sanchez, volstad, strasburg, zimmerman, pelfrey, zambrano, wells, stauffer, leblanc, and harrang. That leaves only three teams (the D-backs, Pirates, and Astros) who have NO chance (note: I really feel like I could put the D-Backs in the stars/moon/sun category but will not at this point). look at some of the pitchers on those teams: saunders, hudson, kennedy, maholm, ohlendorf, rodriguez and myers. Stay tuned for our january prognostications coming soon! I never got to eat “sugar” cereal. Lots of bran and strong intestinal tracts in my family. Cereal was my favorite food. The potential for not only some good cereal, but a sweet toy that was hidden in the box/bag. Looking up and down the aisle like a giddy schoolboy, I would pick the cereal with the best potential for tasty cereal and a worthy toy. I would often go for the knock off cereal like “Lieutenant Crunch” due to its larger size and toy potential. We are in the time of the baseball year where teams are scrambling to patch the remaining holes in their roster with second-rate talent. As exciting as it is to see Craig Counsel sign for his 17th one year contract with the Milwaukee Brewers, it is a time when teams are hoping to find decent enough players to simply survive. But underneath all the mundane signings, there is a tasty morsel of deliciousness that every MLB GM seeks to uncover. No, none of the GM’s will ever admit that any of these players will be “season changers” for their respective squad, but that doesn’t mean they still don’t hold out hope that their signing will be the one that everyone talks about. They will dig deep into that bag (because most generic cereals come in bags) of “Lieutenant Crunch” and try to unearth that toy that will revolutionize their season. For every Craig Counsel, Fred Lewis, Terry Mulholland (yes, I just went late 80’s) and Garrett Atkins, there is a hidden jewel that is going to perform WAY over expectation and make every GM look like they have the foresight of an Old Testament prophet. Enter the greatness that is Pat Burrell. He was sent to the scrap heap by Tampa Bay in the middle of 2010 and thought to be done. All the GM’s holding out to uncover the “toy” of greatness were scurrying around trying to find the piece that would send their team towards a second half playoff run. Initially signed to a minor league deal by the SF Giants, he became the power-bat-spark that played a huge role in getting the team to World Series. I can still remember the scene of his clutch late inning HR against the Dodgers that stuck like an arrow in their heart. I was sitting on the patio of my buddy’s sunny Santa Cruz home drinking an adult beverage when David B. Flemming’s voice echoed through the Redwoods announcing the HR that we would never forget.